Donald Trump officially named the winner in Michigan, giving him a total of 306 electoral votes. Donald Trump on Monday was named the winner in Michigan, the last state to be awarded in the presidential election, The Hill reports. The win gives Trump 306 electoral votes, compared with 232 for Democratic candidate Hillary Clinton. The Michigan Board of Canvassers certified its 16 electoral votes to Trump. The Associated Press and NBC News both called the state for the real estate mogul. The results, submitted by the state's 83 county clerks, were first posted last Wednesday by Michigan's secretary of state. They showed Trump leading Clinton by more than 10,704 votes. With the win, Trump is the first Republican to carry Michigan since 1988. Official news of his win in Michigan comes amid a looming recount. Green Party nominee Jill Stein has already filed for recounts in Wisconsin and Pennsylvania and plans a similar effort in Michigan, according to The Hill. She has 48 hours to file for a recount in Michigan where they would need to count by hand the nearly 4.8 million votes cast. Clinton’s campaign said on the weekend it will participate in recounts requested by Stein. The former secretary of state leads the popular vote by more than two million votes. 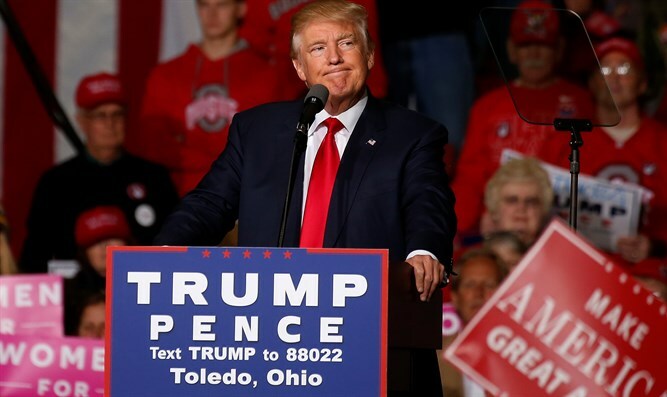 On Saturday, Trump blasted the recount, saying, "The people have spoken and the election is over, and as Hillary Clinton herself said on election night.... It is important to point out that with the help of millions of voters across the country, we won ..the most [electoral votes] of any Republican since 1988...we carried nine of 13 battleground states, 30 of 50 states, and more than 2,600 counties nationwide - the most since President Ronald Reagan in 1984." He added that Stein's motive in requesting a vote recount may not be to win the presidency but to line her personal pocket. On Sunday, Trump hinted that he would have won the popular vote if some people had not voted illegally. "It would have been much easier for me to win the so-called popular vote than the Electoral College in that I would only campaign in 3 or 4- states instead of the 15 states that I visited. I would have won even more easily and convincingly (but smaller states are forgotten)!" he added.